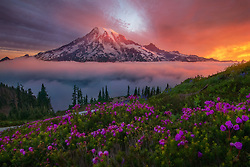 Sunrise light illuminates Mt. 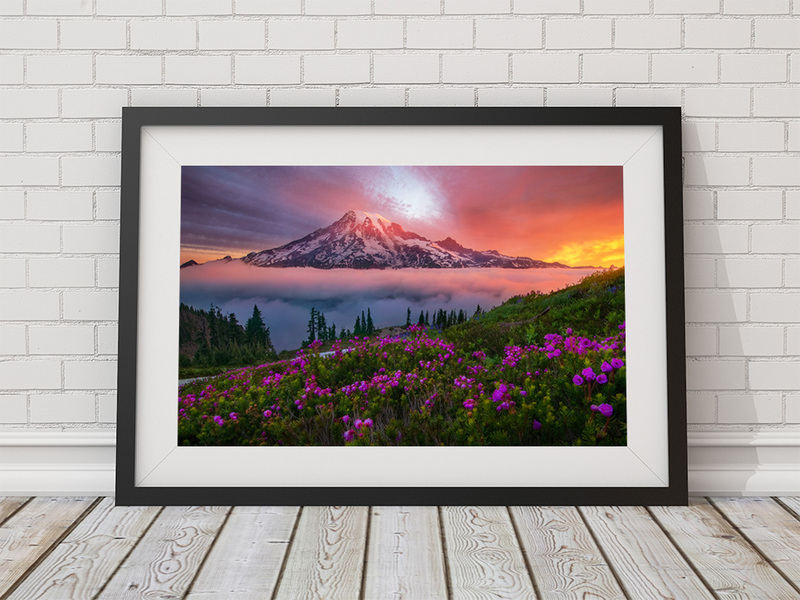 Rainier, photographed from high in the Tatoosh Range wilderness. One of the most impressive displays of light I have ever witnessed.